Letter to Gill from a Participant after attending her Reiki Two Extension Workshop. My fear and personal insecurities have been fading away with each Reiki Healing and Reiki Workshop I attend with you at The Healing House. Thank you for continuing to guide me on my Reiki Healing journey! 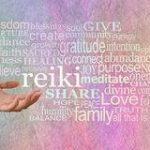 I didn’t really know what to expect from attending my Reiki Two Extension Workshop.I knew it was the next natural step for me to take on my healing journey with Reiki. I thought we would be learning a new Reiki Healing skills. Wow, it was so much more than that! In fact, I was really blown away with so many aspects of it. I’m not sure I can really put into words how it has changed/helped me. The elements I particularly enjoyed were the discussions at the beginning of each day. They sometimes led us into topics that were totally unplanned yet so incredibly supportive and thought-provoking. As an extremely private person, it is unusual for me to feel ‘safe’ enough to expose my doubts, fears and beliefs in front of others … especially people I have only just met. However, I feel at ease opening myself up to these sorts of discussions at The Healing House. I now know that I need not carry the fear of ridicule or argument. I love feeling heard and accepted and feel like I am gaining more personal self confidence and have made a lot of progress in this area of my life journey. Putting the theory into practice was also invaluable to me. The ‘hands on’ healing is much easier for me to initially understand sometimes, rather than just reading instructions. That said, I love having the handouts to look back on and refer to when I am reviewing or practicing at home. The combination of ‘hands on’ and written guidelines during each of my Reiki Workshops has been perfect! I did face unexpected challenges. There was a particular time when I felt quite teary and uncomfortable with the emotion that was rising through me. A part of me didn’t want to face whatever it was that was lurking under the surface. The emotion bubbled up. Initially I felt embarrassed and cross with myself for not being able to control it. I did however feel safe with you Gill. 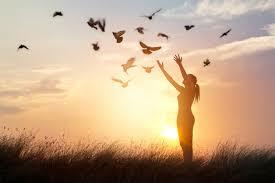 I let go and accepted the healing it brought! That experience has reinforced to me that value of healing … that it can sometimes happen when you least expect it to. I am learning to let it unfold and welcome the peace and personal acceptance it brings. For that, I thank you Gill. Your guidance and wisdom on many things has been amazing – some have certainly challenged my personal beliefs, made me examine them and in some cases change them. There are quite a few daily practices I now undertake that have been adopted from your generous sharing of knowledge. The Attunement ceremonies are so special, something I look forward to. They feel to be very sacred. I’m honoured to be part of them. Finally, at the end of the second day, I felt the expressions of gratitude we expressed individually was so warm and heartfelt. What a beautiful way to end the workshop. Why did I choose Gill as my teacher?